"The free guitar amp simulation plug-in"
Blue Cat's Free Amp is a free guitar amp simulation plug-in offering three amp models created with the acclaimed Blue Cat's Destructor amp simulation modeler. Inspired by legendary guitar amplifiers from the real world, the included "classic clean", "classic drive" and "modern drive" amp models cover a wide range of guitar amp tones, from clean vintage sounds from the early days of electric guitar to modern high gain metal tones. Operating the plug-in is extremely simple: load it in your favorite host application, choose a preset or an amp model, and play! Like with a real guitar amp, you can tweak the frequency response with the included EQ and adjust the amount of drive - but watch out, it goes to 11! With version 1.1, you can also load your own impulse responses (IR): add your favorite cabinet, microphones & room setup and feel at home! Last but not least, this plug-in is entirely free: no registration required, no dongle, no newsletter... It's just 100% free! If you are looking for a more powerful guitar and bass amp simulation modeler, check out Blue Cat's Destructor. For a complete amp simulation solution with built-in effects, check out Blue Cat's Axiom. Typical applications: Guitar amp modeling for clean, crunch or heavy distortion tones. 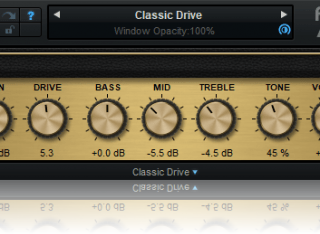 Free guitar amp simulation plug-in. 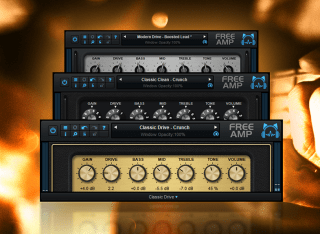 3 amp models inspired by legendary amplifiers: "classic clean", "classic drive" and "modern drive". Simulations based on the Destructor dynamic distortion and amp modeling engine. Load you own cabinet or reverb impulse responses to add color to the amp simulation. For more information about supported platforms, see our FAQ. The plug-ins versions cannot be run standalone: they require a host application (see the System Requirements chapter for more information). Depending on which host application you use, you might need to install the plug-ins in different locations. Before installing one of the plug-in versions, you should close all your host applications. All versions of the plug-in provide an installation program. Follow the steps of the wizard to install the software on your machine. During the installation you will be asked where you want the software to be installed. For the VST version, you should install the plug-in inside the VST plug-ins folder used by your host application(s). The default path set in the installer should work for most applications, but you should check your host software documentation to know where it looks for VST plug-ins. For other plug-in types, you should just use the standard path. Some applications will not automatically rescan the new plug-ins, so you might have to force a refresh of the plug-ins list. When a new version of the software is released, just launch the new installer: it will update the current installation. To uninstall the software, simply launch the "Uninstall" program that is available in the start menu or in the configuration panel. It will take care of removing all files from your computer. On Mac the plug-ins are available as drive images with an installer. After download, double click on the dmg file to open it. 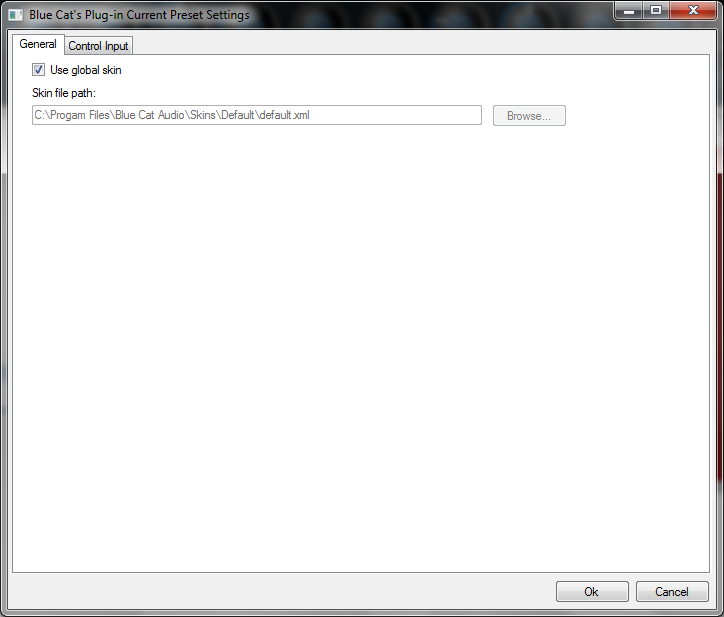 You can then double click on the installer (.pkg file) to install the package. ~/Library/Preferences/Blue Cat Audio/[Plug-in name and TYPE], where TYPE is VST, AU, RTAS or AAX: global preferences. ~/Documents/Blue Cat Audio/[Plug-in name]: user data, such as presets, additional skins and user-created plug-in data. Please be aware that these directories may contain user data that you have created. Remove these directories only if you do not want to reuse this data later. Blue Cat Audio plug-ins cannot be run standalone, they require a host application (see the System Requirements chapter for more information). Some host applications will require you to scan the plug-ins before they are available in the application. If the plug-in is not available in the application, please check that it has been installed in the appropriate directory (with no host application running), and that the host application has scanned it. Note: The main toolbar, menus and basic features available with all our plug-ins are detailed in the Blue Cat Audio Plug-ins Basics section. Main toolbar with access to plug-in menu, zoom, MIDI control settings and other options described in details in the next chapter. Preset area: load, save and browse factory and user presets. Amp model selector: choose an amp model ("classic clean", "classic drive" or "modern drive"). Controls for the selected amp. The parameters are described in details in the parameters section. Load you own cabinet/reverb impulse responses. You can also drag and drop impulse response files (wav,aiff or flac) onto the plug-in to load them. Tip: the amp simulation algorithms are very sensitive to the level of the input signal. So it is recommended to set the input gain properly so that the input level remains in the upper third of the meter when playing. You may want to adjust this setting to your taste and playing. Modeled after vintage guitar amplifiers, it is mainly designed for clean tones, but will produce typical creamy distorted sounds when pushing the drive. 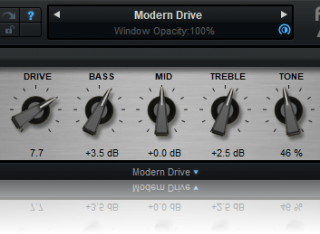 Tip: you can create interesting clean compression with this amp by keeping the drive low and pushing the input gain. Inspired by vintage guitar amplifiers, it is mainly designed for crunch and distorted tones, but it can remain clean with lower drive values, if you do not push the input gain. Modeled after modern guitar amplifier designs, it is mainly aimed at heavy distorted tones, but you can get interesting crunch tones too, with lower drive values. You can load your own impulse responses (IR) to add color to the amp simulation. It works with any kind of IR of any length (cabinets, reverbs, filters of any kind). The longer the impulse, the higher the CPU load though! Tip: when loading a guitar cabinet IR, increase the tone setting on the amp to get more clarity and decrease the effect of the amp's included speaker simulation. The various elements of the user interface (knobs, sliders, buttons...) are simple and intuitive to operate, but more information about how to interact with them is available in the "Plug-ins Basics" chapter of this manual. This chapter describes the basic features that are common to all our plug-ins. If you are already familiar with our products, you can skip this part. Like all Blue Cat Audio plug-ins, Blue Cat's Free Amp uses a skinnable user interface. It means that the appearance and behavior of the user interface can be entirely customized. Especially with third party skins, the experience may be quite different from the one offered by the default skins that we provide. However, our plug-ins and our skinning engine have several standard features that will be available whatever your favorite skin. More information about custom skins can be found in the skins section. On the left, the power button can be used to smoothly bypass the plug-in. 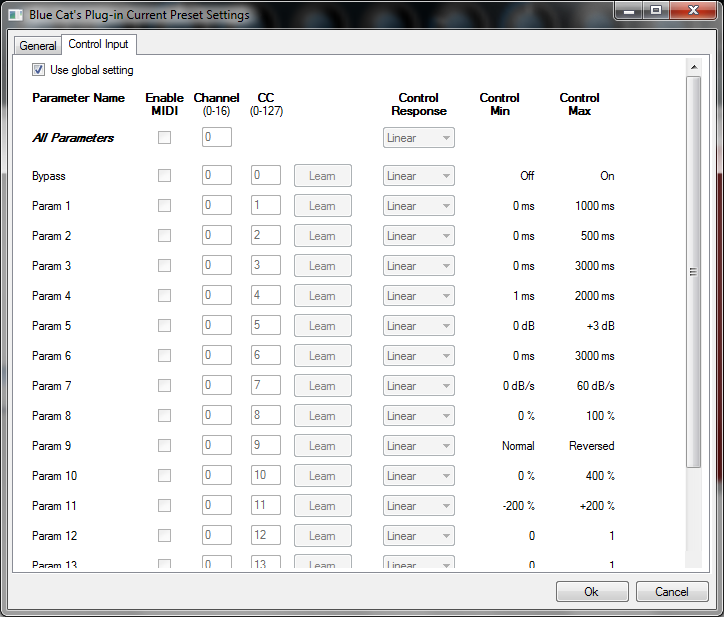 At the center of the toolbar, you can see the current preset area (the "Default Settings" box). It displays the name of the current preset, with a "*" at the end if it has been modified since loaded. The arrows on the left and right let you navigate thru the (factory and user) presets available for the plug-in. Clicking on the preset name opens the presets menu which lets you manage the presets of the plug-in. Using the knob on the bottom right of this area, you can reduce the opacity of the window, and make it transparent (the actual result may depend on the host application). Additional messages may appear in the area next to this knob, depending on the plug-in. Control Settings Display individual control settings (to manage automation and MIDI control, as described here). Zoom Scale the user interface (from 70% to 200%). Presets: opens the presets menu to manage presets. Preset Skin: opens the skins menu to choose the skin for the current preset and manage alternative skins for the software. Undo/Redo: undo or redo the latest	modifications. This includes all changes made to the current preset settings such as MIDI or automation preferences. Presets Settings: open the presets settings window. It lets you change the skin, MIDI and automation settings for the current preset. Global Settings: open the global settings window. It lets you change the skin, MIDI and automation settings that are used by default in all instances of the plug-in (if not overridden by the current preset). User Manual: open this user manual. Check for Updates: opens up our website to let you check if any update for this software is available. Get More Skins: get more skins for this software. Legal Information: browse licensing and misc legal documents. About: displays the “about” dialog box. You can interact with the controls of the plug-in interface either with the mouse or the keyboard. Setting the keyboard focus on a control (so that it responds to key strokes) may be automatic (when you pass the mouse over it it gets focus) or manual (you have to click on the control to set the focus on it). Note that all host applications behave differently regarding keyboard handling. In some applications you may not be able to use all keys described later in this manual to interact with our plug-ins. It is usually made obvious to you to know the active surfaces of the skin (the places where you can click with the mouse): the mouse cursor usually changes when you can do something on a control. In the default skins delivered with the plug-in, the cursor changes to a small hand or an arrow to tell you when your mouse is over an active control. SHIFT When the key is down, the fine tuning mode is on, and you can modify the value with better precision when moving the mouse, the mouse wheel or using the keyboard. Just release the key to get back to the normal mode. To get started with the plug-in and discover its capabilities, a couple of factory presets are provided. You can also save your own presets and recall them later for other projects. Our plug-ins propose a full-featured preset manager to let you save, browse, organize and recall its presets. Factory Presets: shows the list of factory presets delivered with the plug-in. "Folder A" to "User Preset Z": user presets and categories. 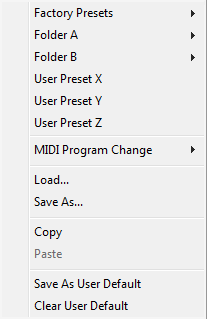 MIDI Program Change: activate MIDI Program Change support (see below). Load: load preset from file. Save: save current state to last loaded user preset. Save As: save current preset to a file. Copy copy preset to the system clipboard. Paste paste preset from the system clipboard, if available. Save As User Default: save the current state as the default preset. This preset is used every time a new instance of the plug-in is created. Clear User Default: reset the default preset to its factory state: this makes the plug-in forgets the custom settings you might have saved as a default preset. There are two types of presets: factory presets (read only) that are provided with the plug-in, and user presets that can be created and stored by the user. If you save a preset named "Default" in the root Presets directory, it will override the factory default preset (that's what "Save As Default" does). To restore the factory default preset, you can just remove this file or use the "Reset Default" command. Every root folder is considered as a new bank, starting with the factory presets (bank 0). Program and bank numbers may change while you add folders and presets, so you should be careful when naming them if bank and program numbers matter to you. It is recommended to use folders to make this task simpler. As a side note, sub folders do not define additional banks (all presets contained in sub folders are associated with the current bank. As specified by MIDI, bank select messages are not used until a program is actually selected. MIDI Implementation note: the software supports all types of Bank Select methods. You can use either MIDI CC 0 or MIDI CC 32 to select banks. If both are used simultaneously, they are combined together so that you can use more banks (in this case CC0 is LSB and CC32 is MSB, and actual bank number is 128*CC0+CC32). Blue Cat's Free Amp can also be remotely controlled via MIDI using MIDI CC ("Control Change") messages or automation curves, if your host application supports it. It is possible to customize the channel, control numbers, range and response curve used for each parameter in the settings panel available from the main menu (see the Plug-in Settings chapter for more details). MIDI Learn: launches MIDI learn mode for the control: touch your MIDI controller and the control will learn from it the MIDI channel and CC number. To end the learn mode, reopen this menu and deselect the option. MIDI Unlearn: deactivates MIDI control for this parameter. Settings: launches the advanced settings panel described below. This controls the settings for the current preset. You can completely customize the way the plug-in is controlled by automation and MIDI. For a global view of all parameters at a time, you can use the Plug-in Settings window for the current preset which is available from the main menu. Enable MIDI: enable/disable the MIDI control of the parameter. Channel: MIDI Channel for the parameter control. If set to 0, the plug-ins will accept Control Change Messages from all MIDI Channels (MIDI Omni mode). Learn: click on this button to activate the MIDI learn functionality. When it is activated, you can move your MIDI controller, and the plug-in will automatically set the MIDI Channel and CC Number. Response: response curve of the MIDI or automation control: from very fast to slow control. Min: minimal value of the parameter when MIDI	controlled or automated. Max: Maximum value of the parameter when MIDI controlled or automated. Note: if the Min value is higher than the Max value, the response curve will be reversed: increasing the control value will decrease the parameter value. Check our online tutorial for more screenshots and more examples of our plug-ins user interfaces. All parameters described below can be automated and controlled via MIDI if your host application supports it. You can precisely define this behavior in the settings panels described later in this manual. Input gain. Adjusts the audio level at the input of the plug-in. Presets do not affect this parameter. Amount of amp drive / distortion (the behavior depends on the selected amp model). Adjust the amount of lower frequencies. Adjust the amount of medium frequencies. Adjust the amount of high frequencies. Adjust the cutoff frequency of the tone lowpass filter. Can be used in conjonction with the treble control to adjust the amount of high frequencies. Output gain. Adjusts the audio level at the output of the plug-in. In addition to the controls offered in the main user interface, Blue Cat's Free Amp has various settings that let you fine tune the behavior of the plug-in. You can choose to change these settings either for the current preset or globally for all instances of the plug-in. The settings available in this window apply to all instances of the plug-in, for all presets, if not overridden in the presets settings. Consider these settings as “default” settings. You can change the default skin for all instances of the plug-in: write the skin file path in the text edit box or click on the button to open a file chooser dialog. If you have several instances of the plug-in opened in your session, you will have to re-open the user interfaces of these plug-ins to see the skin change. The output data refresh rate can also be customized for all instances of the plug-in. It controls the refresh rate of non-audio data produced by the plug-in (parameters, curves...). It also controls the refresh rate of output MIDI CC messages or output automation data. The higher the refresh rate, the better precision, but also the higher cpu usage (some host applications may also have trouble recording MIDI data at high refresh rates). The default value is 50 Hz. The plug-in offers a couple of settings that affect the way it is controlled by MIDI messages or automation. While the first settings only apply to MIDI control, the "Control Response", "Min" and "Max" settings apply to both automation and MIDI control. For each parameter you can define a default MIDI channel and CC number. You can then control the plug-in with an external MIDI controller or one of our plug-ins that generate MIDI messages. 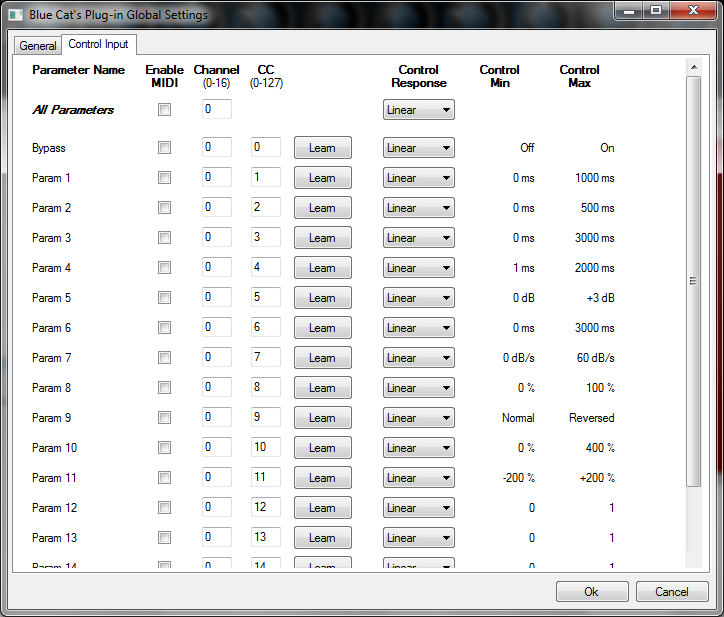 The settings below are available for each plug-in parameter. 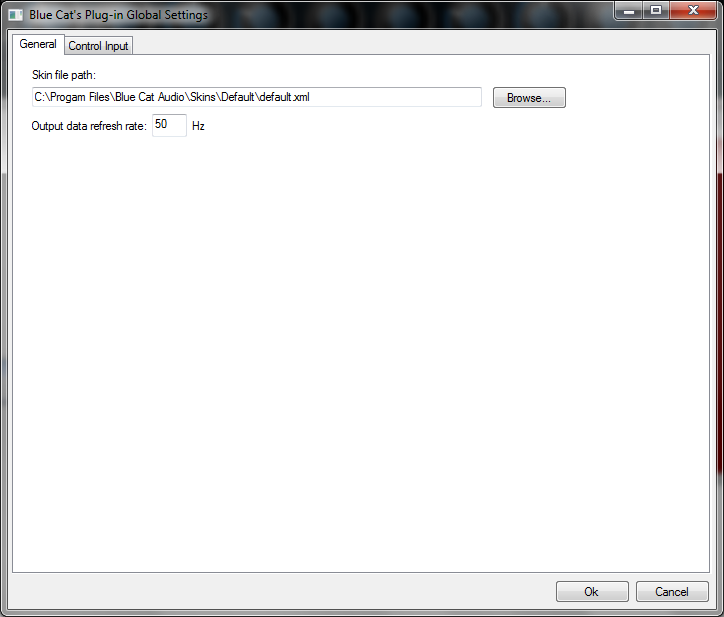 In this window you can change the settings for the current preset of the current instance of the plug-in only. You can choose to use the global skin setting or to change the skin for the current preset. This way you can have different skins for different instances of the plug-in in the same session in order to differentiate them. Use the global settings or override them for the current preset. The parameters are the same as for the global input settings. If you don't find a skin that fits your need or if you want a custom one, you can choose to create your own skin. There are two ways to select the skin of your plug-in: you can change the default (or 'global') skin, or change the skin for the current preset only (either in the preset settings page or from the main menu). 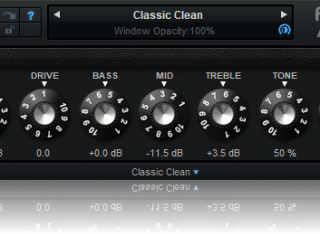 The global skin applies to all plug-in instances (choose this one if you want to use the skin used by default, regardless of the session or preset), whereas the current preset skin only applies to the current preset of the current plug-in instance (use this one if you want to change only the skin for the current session/preset). Note: in some host applications, the plug-in window won't resize automatically when you choose a skin with a different size. In this case, just close the window and re-open it: it will be displayed with the right size. First Section - Factory Skins: shows the list of factory skins delivered with the plug-in ("Default" and "Light" in this example). 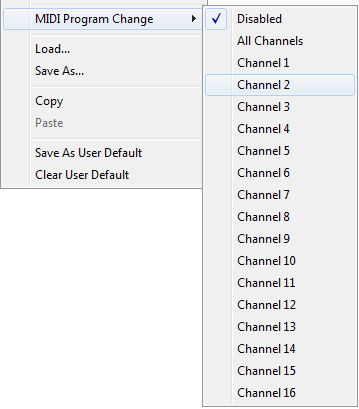 Second Section - User Skins: shows the list of user skins that have been installed in the Documents Skins folder for the plug-in (see below). Use Global Skin: use the global skin for the current preset/session (unloads any custom skin previously selected for the current preset). Load: opens a file browser dialog to manually select the skin from the file system. 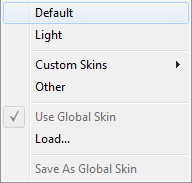 Save As Global Skin: use the current preset skin as the global skin (loaded by default if no preset skin has been defined). The skin engine will scan this folder for new skins (xml files) and display them in the menu. The skin files should be in the root skins folder or in a subdirectory inside this folder: subdirectories are not scanned recursively. 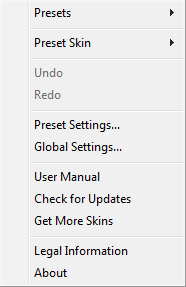 The global skin (used by default if no preset skin has been selected) can be changed in the global settings pane. The current preset skin can be changed in the preset settings page . You can create custom skins for your plug-in in order to adapt it to your exact needs. You can change its look and feel and make it completely integrated in your virtual studio! Just read the Blue Cat's Skinning Language manual and download the samples for the tutorial on http://www.bluecataudio.com/Skins. You can get ready to create your own skins in a few minutes. You can then share your skins on our website. This manual only covers the basics of Blue Cat's Free Amp. Our website offers many additional resources for your Blue Cat's Free Amp plug-in and is constantly updated, so keep an eye on it! You will find below a few examples of available resources. Many Tutorials are available on our website. They cover a wide range of topics and host applications. You can find here a list of tutorials related to the Blue Cat's Free Amp plug-in. We encourage our customers to propose their own skins for our products and we often propose alternative skins to let you choose the one that best suits your needs. You can check Blue Cat's Free Amp skins page to get the latest skins. As you can see in the history log below, we care about constantly updating our products in order to give you the latest technology available. Please visit our website often to check if Blue Cat's Free Amp has been updated, or subscribe to our Newsletter to be informed of the latest news about our products. You can also follow us on twitter and facebook for almost real time updates notification, and subscribe to our YouTube channel to watch the latest videos about our software. Improved convolution performance for the impulse response loader on multicore processors. Now included in the Free Pack bundle. Load your own cabinet and reverb impulse responses. Thanks again for choosing our solutions! See you soon on www.bluecataudio.com!